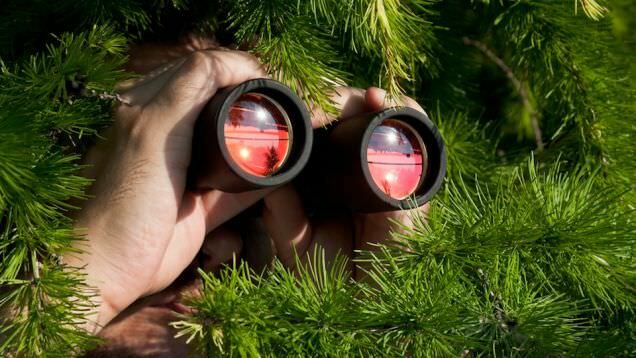 Reconnaissance is key to any successful hack. On average, approximately three-fourths of any hack should be spent performing accurate and precise recon. Reconnaissance is the act of gaining information about our target. Such as open ports, operating system, what services those ports are running, and any vulnerable applications they have installed. All of this information will be absolutely vital to choosing an attack. How are we supposed to hack if we don’t know what we’re getting into? Passive Recon: This type of recon doesn’t require any interaction with the target, so it is far less likely to be detected. The trade off is that the information gained is not as accurate and it’s much slower than it’s active counterpart. Passive recon is the act of watching the target. Instead of interacting with them, we can watch their traffic and gain information without so much as pinging them. Discovery: This is the act of discovering possible victims. Discovery is essential to reconnaissance as it tells us who our potential victims are. Port Scanning: As the name implies, this is the act of scanning a range of ports on a victim. A port is used to make connections and manage communications for net-workable services or applications. Any open port is a possible avenue of attack. There are multiple kinds of port scans, but those go beyond the scope of this introductory article. OS Fingerprinting: OS fingerprinting is the act of attempting to determine a victims operating system. Knowing the victims OS is crucial to choosing an attack that will work. Attempting a Windows based attack on a Linux victim doesn’t make much sense. Now that we know about these terms and methods. Allow me to introduce you to one of the most used and best active recon tools, nmap. Nmap stands for network mapper. Nmap is an active reconnaissance tool, so it will make some noise. We’ll be using nmap to quickly demonstrate the above concepts. We’ll be performing our recon via Kali Linux, which already has nmap installed. The target we’ll be performing reconnaissance on is Metasploitable, running inside VirtualBox. For instructions on how to install Metasploitable and VirtualBox, please see this article. We’ve given a range of 192.168.1.0/24, this means that it will test every IP from 192.168.1.0 all the way to 192.168.1.255. Here we can see that there are multiple hosts on our network. But the address of 192.168.1.149 is the address of our Metasploitable VM. It may prove challenging to find a specific hosts on bigger networks, but there are more advanced scans for that. Don’t worry about them now, we’ll cover them in time. Here we can see that there are quite a few open ports, especially since we only scanned 1-100! Each one of these ports represents a possible attack method for hacking this target. After sifting through the output for a while, we’ve come across what we’re after. 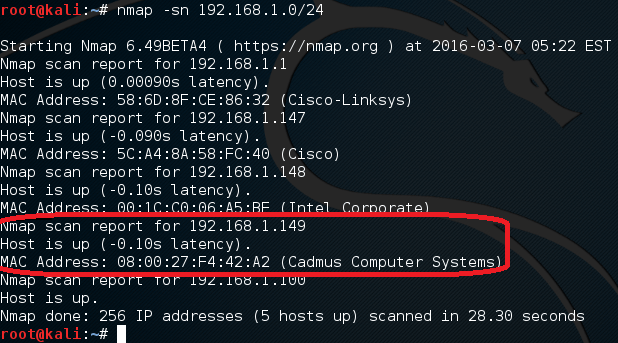 Nmap tells us that our victim is running Linux. This result is correct, Metasploitable is built on Linux! There are many tools for OS fingerprinting other than nmap, but this demonstrates that nmap is truly versatile. We’ve covered quite a bit here today, but these are just the tip of the basics when it comes recon, there is still much more to cover. After this article you should have a fundamental idea of discovery, port scanning, and OS fingerprinting. Remember, proper recon is a must for any potential hack. In the future, we’ll be building our own versions of these tools. I’m a firm believer that the best way to learn how something works is to rip it apart and build it yourself. We’ll be writing our tools in Python and Ruby. But don’t worry if you don’t know either of these languages, we’ll cover the basics we need to know before we build anything. Next time, we’ll take a closer look at port scanning, and some different scan types, see you there!